Tree care and maintenance is a serious matter. No job is too big or too small to require professional expertise and assistance. The purpose of hiring an expert for all of your tree service needs is to ensure not only your physical safety but your property safety as well. Some services require working up in the air, while others may require digging in the ground. This can put your physical and property safety at risk when you are not fully aware of the surrounding dangers. In order to protect your interests, it’s best to hire the premiere tree cutting service in Orlando. We take great pride in the way we care for and protect you and your property. Our aim is to safely remove, trim, clear, or cut your trees while doing so in such a way that it makes the property look better and the trees look and feel healthier than they have in years. Our team is composed of highly trained and skilled individuals who can handle practically any tree trimming or be removing service you might need. 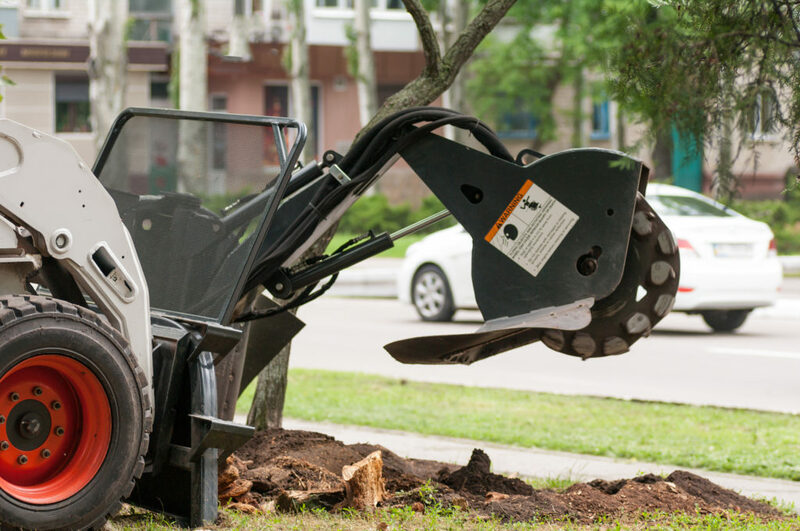 From removing diseased branches to tree stump removal to the reshaping of massive trees, we can handle it. We even offer to plant and replace the trees we have removed. We are a full-service tree care company with the tools, skills, and knowledge to tackle any obstacle you and your property might have. Do you have a tree that’s starting to become a problem? Or are you worried that soon this tree might be an issue? Don’t worry! We always offer free, no-obligation estimates for any of your tree service needs. One of our highly skilled and exceptionally trained team members will come out and take a look at what your issue is. From there our team member will determine what the next steps should be. Of course, our estimate in no way obligates you to follow through with the estimate nor does it obligate you to use our services. We know that trees can grow out of control, which is why we like to keep our prices in control. With our upfront pricing and no hidden fees, we can guarantee you an honest and fair quote for your tree(s). You won’t have to worry about small fees that add up into one big fee thanks to our transparent pricing. We love to help keep our community beautiful, so that’s why we keep our prices affordable. Sure, there are a number of Orlando Tree Service companies you could choose from. But not all of those companies are going to be locally owned and operated. Choosing us helps to stimulate the local economy and keeps Orlando bustling and beautiful. Just about anyone can pick up a chainsaw, a truck, and a tree removing license. But those things are simply just not enough to provide the level of quality service and expertise our team does. Because we are locally owned and operated our goal is to keep Orlando beautiful. This means that we have promised to keep Orlando GREEN. We do this by never contributing to landfills by dumping natural, recyclable, and reusable resources into them. We always choose to go above and beyond to gather up all debris and mulch it up, as well as removing any remaining debris from your premise. We are THE Green Tree Service for Orlando because we take pride in both our work and our community and its residents. For years we have been the company Orlando residents have called to handle their tree trimming, cutting, removing, and shaping needs. No one in town works as hard or as efficiently as we do, all while keeping prices at a fair and transparent rate. We never price gauge and we never hide costs from you. Our goal is to do whatever it takes to make sure that you are 100% happy with our removal and trimming services. We love to go above and beyond for you because Orlando is your home just as much as it is our home. Call us today to find out how we can help you get the tree service you need from the people you trust. Advance Tree Pros © 2017 All Rights Reserved.